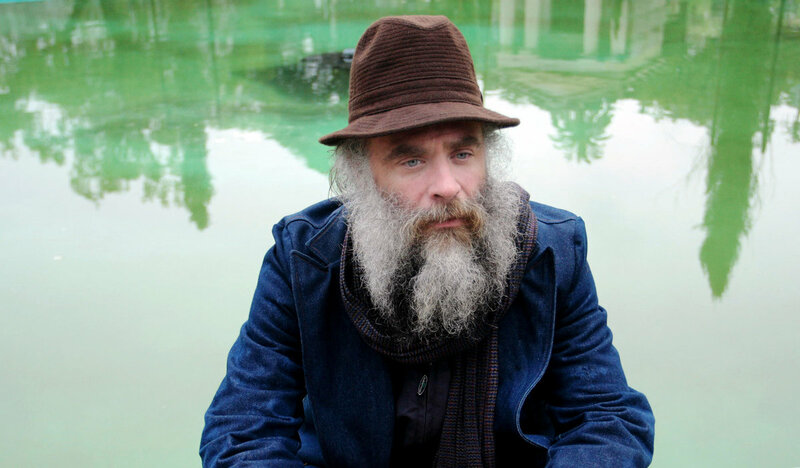 Daniel Higgs is a musician and artist from Baltimore, Maryland. His artistic output – spanning three decades, numerous albums, books of poetry and collections of drawings – simply defies classification. Known primarily for his work as the sole lyricist and frontman of the band Lungfish, Higgs has released a number of solo outings that are worlds away from the hypnotic, communal rock of his band, weaving meditative, casually ruptured drones using acoustic and electric guitar, upright pianos, banjo and jew’s harp. As if this conjuring of sound weren’t enough he pairs his music with a series of paintings that call to mind religious iconography, passed through the disfiguring surrealism of Miro. Higgs’s artistry has wedded music and visual art into a singular being, intended to be encountered as a conjuring force. In his relentless pursuit of the indivisible, Higgs births a new transubstantiation experience of sound and image onto the Supersonic stage this summer.